I figured I would make this beautiful Monday a Music Monday! I have always been in love with a variety of music growing up.. I remember one day dad telling me I was born in the wrong era.. Growing Up I loved bands like Fleetwood Mac, Janis Joplin, The Cars, Foreigner & Zepplin. I also loved country stars like the classic George Strait, Garth Brooks, Tanya Tucker… & of course Merle Haggard. Since then the list of bands I love range in era’s, styles, genres, & so forth! I really enjoy old music.. I feel its true, real & what music is all about. Nothing can change your mood, bring you back to a memory, make you laugh, cry, & scream at the top of your lungs like Music can… Its a huge part of everyone’s daily life… & a great part!! 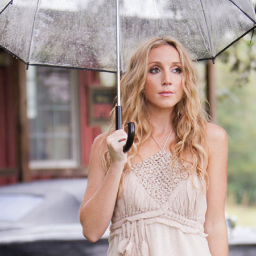 I titled this blog Monroe Monday… Because today is all about one of my favorite songwriters & musicians… Ashley Monroe! The first time I heard Monroe’s voice I was in awe! I became a fan instantly. She was singing with the Racounters in their single “Old Enough” Her voice is soo unique, beautiful, & it gives me an old soul feeling…. if that makes sense! I then investigated further into her… & realized she was an incredible songwriter. Writing songs like “The Truth” by Jason Aldean, & also writing alongside her gal pal Miranda Lambert, as Lambert walked herself through the charts… Now being one of the biggest names in country music & a huge role model for young women everywhere! Monroe then… earlier this year came out with her album “Like A Rose”, that she produced with the great Vince Gill! It was without question it was going to be unbelievable! She has such a great sense of humor, a way with words & above all an unreal voice! Here is her single “Like A Rose” …. Give her a listen.. I wouldn’t let you down! you had my kids and i dancing around the kitchen! YAY! Nothing more fun then dancing in the kitchen~! !~ Glad you liked the songs!